If you’ve ever had the pleasure of visiting Inn at Round Barn Farm in Waitsfield Vermont, you know that their food is extraordinary. This recipe is from their beautiful cookbook and it’s one that we love and our guests love. We’re serving this as our first course this morning and decided that a bed of Greek yogurt and a drizzle of Vermont maple syrup was the perfect accompaniment. Pears of your choice For this recipe I like to find nicely shaped pears with a good stem intact. It all adds to the presentation. Peel pears and core with a melon baller to remove all seeds. 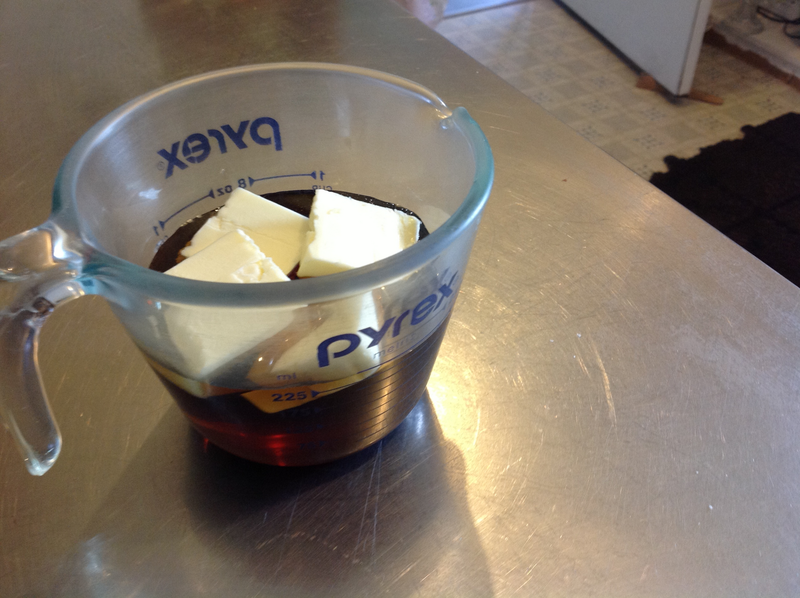 For 18 pears, I combined one half cup of maple syrup with a quarter stick of butter. Microwaved for about three minutes on a low setting so that the syrup didn’t burn. Place the pears in a baking dish and pour the syrup/butter mixture over. Bake until tender (I partially baked the day before then refrigerated and continued baking this morning). Use a turkey baster to keep “the juices flowing” over the beautiful pears.